The Earthen Vessel was formed in 1970 in Lansing, Michigan by Leon Morton a tenor with a local Gospel Quartet. 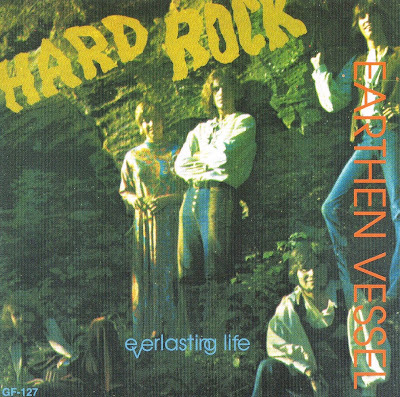 Originally known as The Rare Ones, the band soon changed names to The Earthen Vessel after a biblical reference. The band combined Christian philosophy with psychedelic rock music to forge a new genre in American music. In the early 70's Christian music was brought into the forefront because of the popularity of such rock musicals as Jesus Christ Superstar, The Survival Of Saint Joan and Joseph And His Amazing Technicolor Dreamcoat and young musicians discovered that they could still play rock and be true to their Christian ideals. The Earthen Vessel was one such band that broke the traditional mold of what religious music should sound like. The band became popular in the Midwest and toured a number of University campuses, high schools and anti-drug rallies through out early 1971 . In the fall of 1971 the band recorded an album of original material in Nashville's Monument Studios that was released on the small NRS Records label. The music on the album consisted of six hard rock psychedelic songs that praised the Lord in the lyrics while rocked out in the music. While the music had a clear message of love peace and God's word, it was not accepted by many church leaders because of the hard rock sound of the songs and the band subsequently broke up a short time later.